Bauhaus Guesthouse is designed by Host, Architect, and it is a newly-built house and opened on April 14, 2014. Bauhaus which has fabulous appearance, wonderful interior, various service facilities and a luxurious atmosphere, can provide the best places for relaxation. There are fantastic living room, dining room, kitchen, outdoor lounge in front of dining room, sky lounge on the rooftop and comfort rooms, linens, nice bathroom covered with splendid ceramic tiles including an air purifier and a water purifier in Bauhaus. 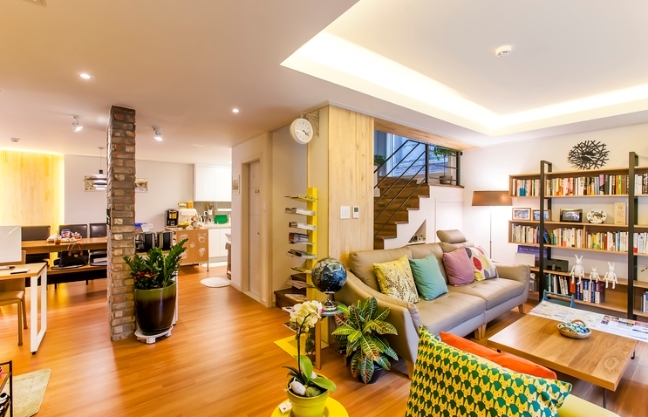 You can experience Korea’s indigenous home and high-class service will be served at a competitive price because Host live on the third floor of Bauhaus. 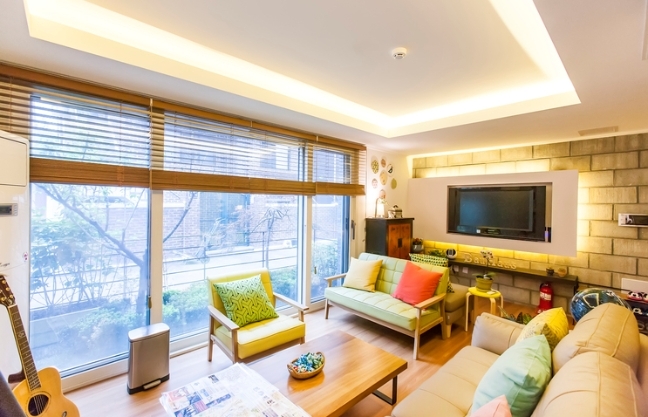 If you are looking for luxurious and exclusive Guesthouse like an elegant Hotel at a small charge, Bauhaus will be an excellent choice in Seoul. Bauhaus will make you feel like you are at home and a noble personage. 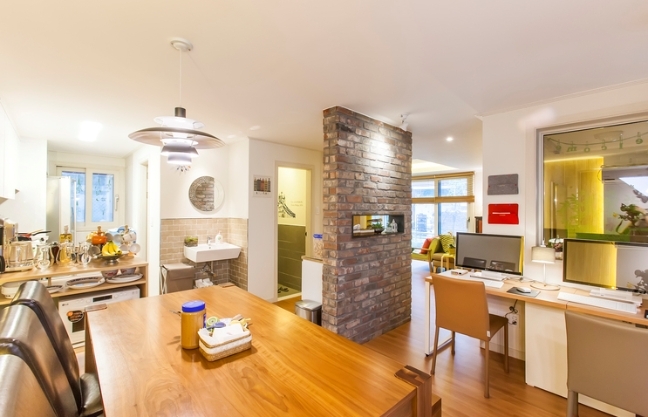 Conveniently located near Hongik university in Seoul, where is popular and hot area, especially a mecca for young and artist with different cuisine restaurants, bars, live music clubs, unique shops, lots of genuine fashion boutique and indie band concerts on the street. Bauhaus is an important traffic center accessible to the main tourist areas and just 7min away from the metro station(Hongik Univ. Station) Exit #3. (Dis.550m/1,805ft) From Hongik Univ. Station you can get to tourist attractions such as Gyeongbokgung Palace, Insa-dong, Myeong-dong, Itawon, Gwanghwamun and Dongdaemun Market within 30 minutes. 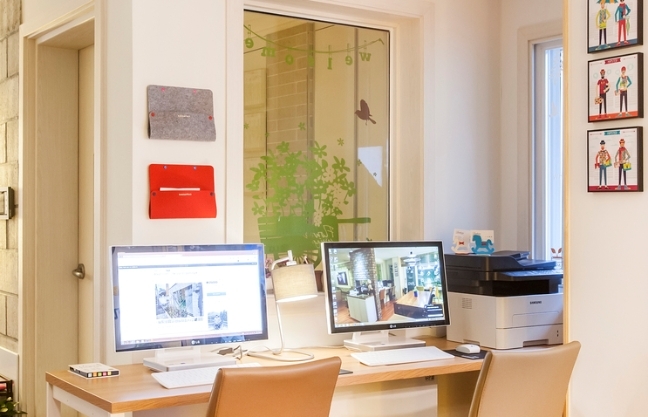 Bauhaus Guesthouse is one thing you will never regret! 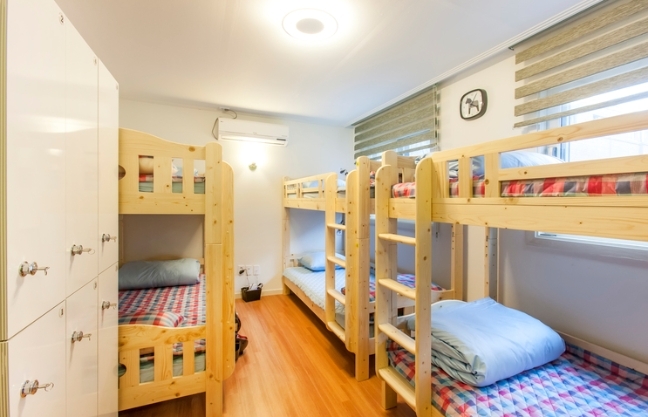 This entry was posted in Accommodation and tagged Korea, Korea travel, Korea trip, Seoul, traveller.